Cue the big brass horns with Shirley Bassey passing out with Jimmy Page playing guitar (fun fact… Jimmy Page did play in that recording).. 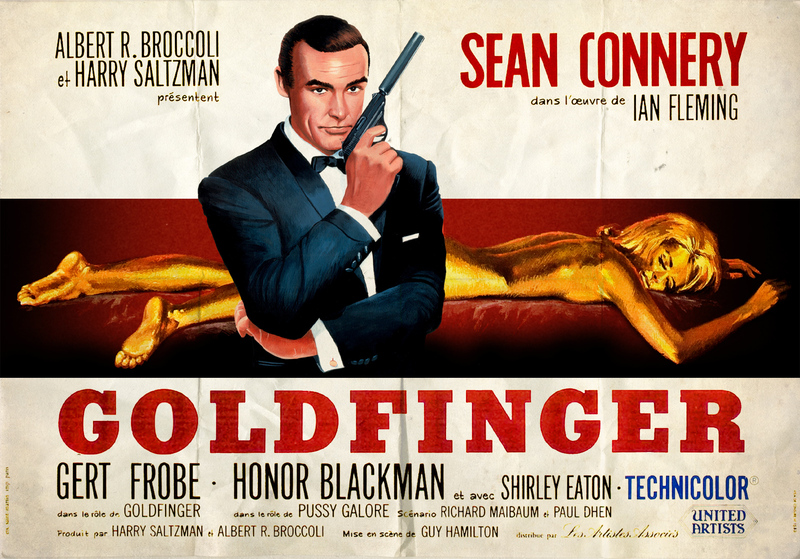 Yes it’s time for one of the.. if not the quintessential Bond film, Goldfinger. Our host Becca Andrews guides us with her side kick henchmen Chris Byrne and David Bond (no relation to the fictional character in question) to talk about the third and arguably the best in the series and run the risk of angering Bond car enthusiasts all at the same time. Do You Expect Us To Talk is available on iTunes and Stitcher so a lovely review or rating would be wonderful. Enjoy this episode and Do You Expect Us To Talk will return with Thunderball. This entry was posted in Do You Expect Us To Talk? and tagged 007, Albert R. Broccoli, Dave Bond, Do You Expect Us To Talk?, film, Gert Fröbe, Goldfinger, Guy Hamilton, Harry Saltzman, Honor Blackman, Ian Fleming, james bond, John Barry, movies, podcast, Sean Connery, Shirley Bassey, Thunderball by Chris. Bookmark the permalink.